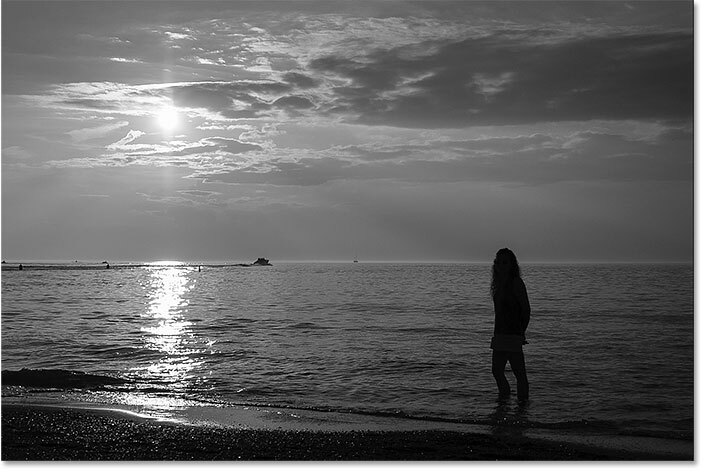 Tired of the colors in your sunset photos looking dull and lifeless? Learn how to enhance and restore those warm, golden hues with Photoshop using a simple Gradient Map adjustment and a layer blend mode. For Photoshop CC and CS6. Sunsets are one of the most widely-photographed aspects of nature. Yet our photos rarely capture their intense beauty. A sky once filled with warm, golden hues often ends up looking cooler, less vibrant, and ultimately less interesting. In this Photoshop tutorial, we'll learn how to easily enhance our sunset photos and restore those warm reds, oranges and yellows. And we'll do it using nothing more than a simple Gradient Map adjustment layer and a layer blend mode! This version of our Warm, Golden Sunsets tutorial has been updated for Photoshop CC and is fully compatible with Photoshop CS6. If you're using CS5 or earlier, you'll want to follow along with the original version. 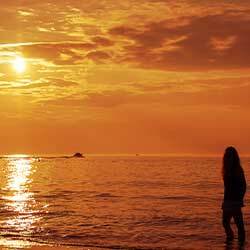 The original sunset photo. Photo credit: Steve Patterson. 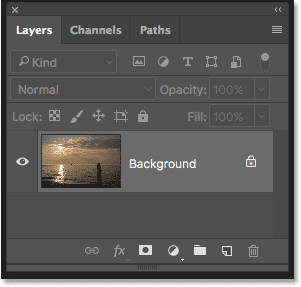 The Layers panel showing the sunset photo on the Background layer. 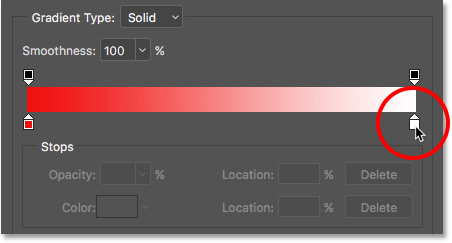 Choosing a Gradient Map adjustment layer. 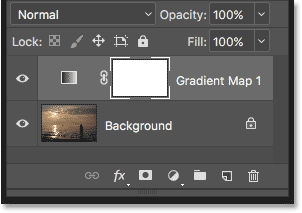 The Layers panel showing the Gradient Map adjustment layer. 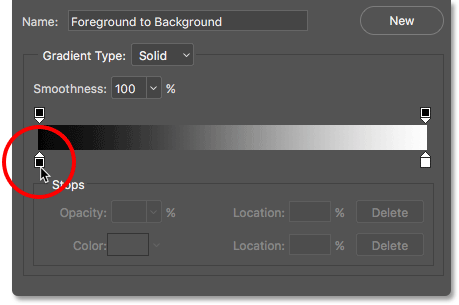 Photoshop's Gradient Map adjustment gets its name from what it does. 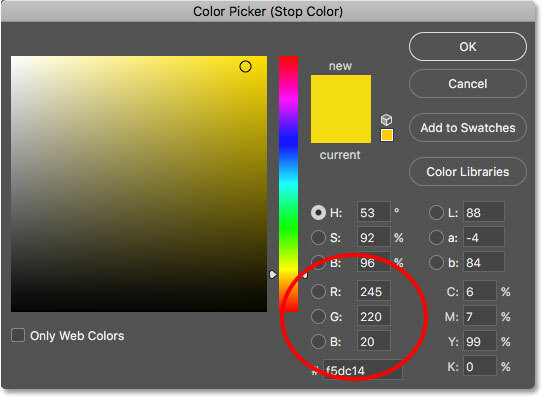 It lets us map, or assign, different colors of a gradient to different tonal or brightness values in the image. For example, we can use a Gradient Map to assign one color to the darker areas (the shadows) and another color to the lighter areas (the highlights). Or we can take it a step further and map a third color to the midtones in between. In fact, if we wanted, we could map the entire tonal range of an image to a rainbow of colors! 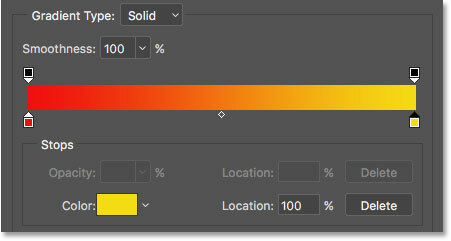 And since we're working with gradients, Photoshop creates smooth transitions between the colors we've chosen. The image mapped to the default black to white gradient. 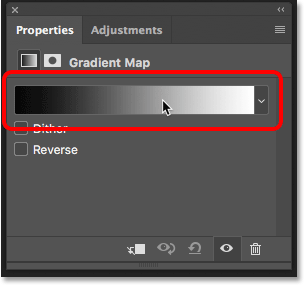 Clicking the gradient preview bar in the Properties panel. Double-clicking on the black color stop. 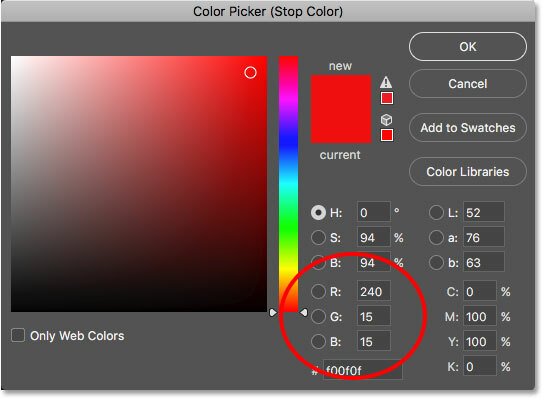 Selecting a bright red from the Color Picker. The image after mapping the darkest tones to red. Double-clicking on the white color stop. Choosing yellow for the right side of the gradient. Our new red to yellow gradient (with orange in the middle). The image mapped to the red, orange and yellow gradient. Changing the blend mode of the Gradient Map adjustment layer to Overlay. The image after changing the blend mode of the Gradient Map layer to Overlay. 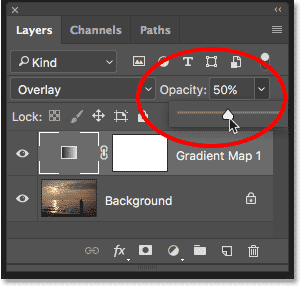 Lowering the opacity of the adjustment layer. 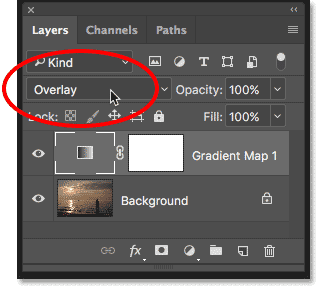 Clicking the visibility icon for the adjustment layer. The original sunset photo with its dull, muted colors. And there we have it! That's how to improve and enhance your sunset photos, restoring those warm, golden colors, using a simple Gradient Map adjustment layer and the Overlay blend mode in Photoshop! Check out our Photo Effects section for more Photoshop effects tutorials!